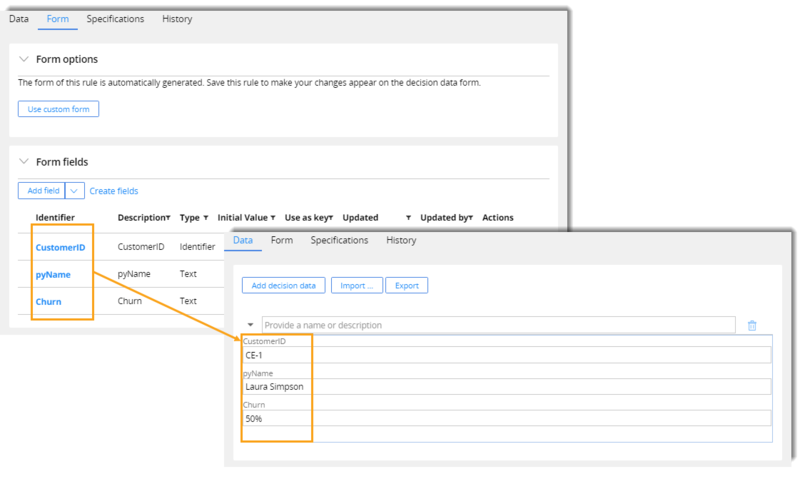 You added or removed a property on the Form tab of a decision data rule, but this change is not reflected on the Data tab (the property is not added or removed). This condition applies only to decision data rules with generated rule forms. The changes on the Form tab were not saved. To eliminate this problem, click Save every time you modify properties on any of the rule form tabs.